A half-day trip to Postojna caves, the largest and arguably the most beautiful caves of the classical Karst. Train ride into the underworld labyrinth of passages, galleries and chambers, dotted with stalagmites, stalactites and columns of incredible shapes. We round off the trip by visiting Predjama Castle, built into a high cliff and definitely the most remarkable castle in Slovenia. 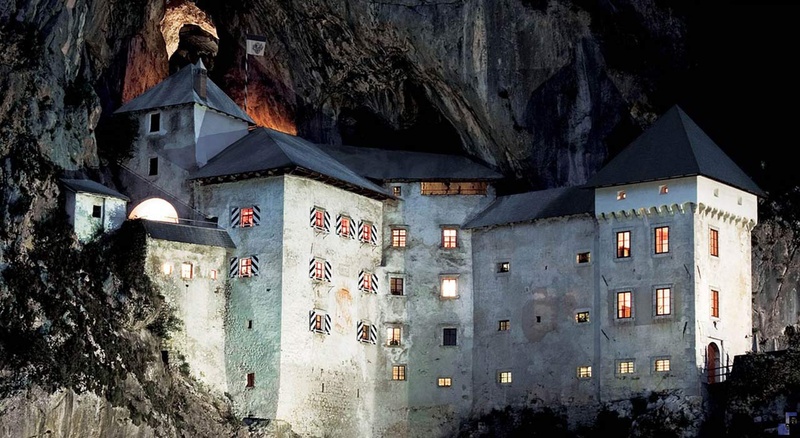 Did you know that in 1986 the actor Jackie Chan chose Predjama Castle for filming Armour of God? The visit to Postojna caves lasts an hour and a half; the temperature in the caves is up to 12 º C, so it is recommended to take warm and comfortable clothes and shoes. Departure daily at 13:30 a.m from Ljubljana, departing from other places in Slovenia by agreement. Price includes: transport, entrance fees and English-speaking guide.